On the road again with Chris and Mike of PROJECTING FILM. 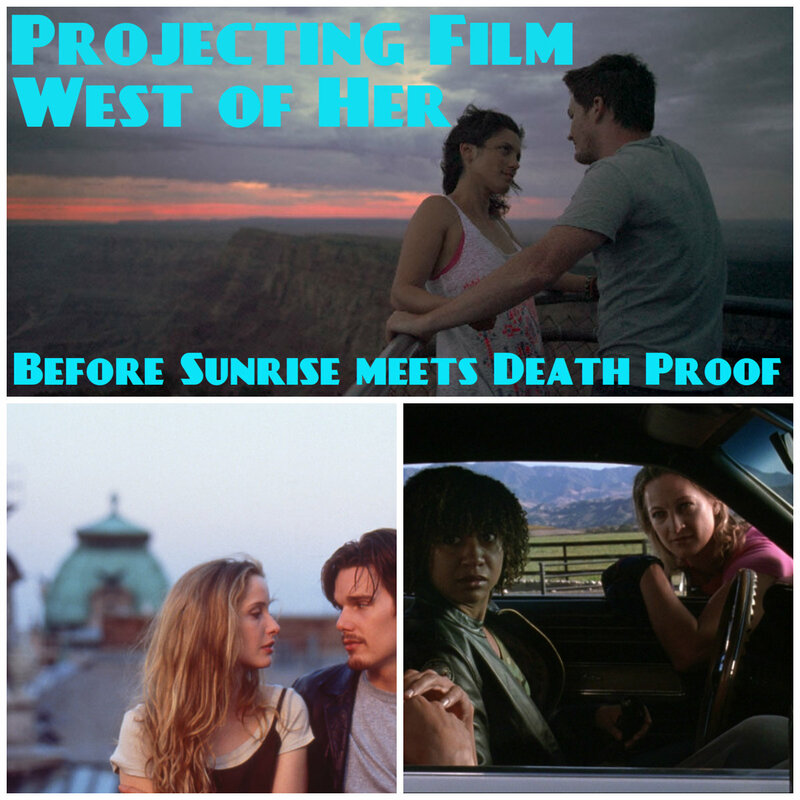 A pair of podcast lovers who fancy themselves as Celine and Jesse from Richard Linklater's BEFORE SUNRISE but in actuality are more like Zoe Bell and Kurt Russell from Quentin Tarantino's DEATH PROOF. We'll leave that up to the listeners which one is the cowardly stuntman... BUT FOR NOW we have yet another indie film gem from 2018 with Ethan Warren's WEST OF HER. A strikingly beautifyl film full of stolen shots and stolen moments also manages to keep its feet on the ground and provide the spark of a romance between two people who travel the country together but are heading in very different directions. Also they aren't Chris and Mike. So well worth spending your time with them instead. On that note, follow us at the links below! Theme music provided by the band Good Talk Russ. The song is Build It Up off their album The Panglossian Travels of the White Elephant.